in which they were First published. CLIck the links or Check out my Collections page for bundles! “Even,” Shotgun Honey (August 20, 2012). "Back to the Boke" first appeared in Beat to a Pulp (October 28, 2012). "Stand Up Johnny" first appeared in Plots With Guns (Winter 2013). "Button Man" first appeared in Alfred Hitchcock's Mystery Magazine (March 2013). "Bloody Signorina" first appeared in Alfred Hitchcock's Mystery Magazine (September 2013). * Finalist for the 2014 Derringer Award! "The Sweatergeist" first appeared in Alfred Hitchcock's Mystery Magazine (December 2013). "Nighthawks" first appeared in Alfred Hitchcock's Mystery Magazine (April 2014). "How Lil' Jimmie Beat the Big C," first appeared in Shotgun Honey (May 12, 2014). * Winner of the 2015 Derringer Award for Flash Fiction! "Harm and Hammer" first appeared in Alfred Hitchcock's Mystery Magazine (October 2014). * Selected by author James Patterson for inclusion in the 2015 Best American Mysteries anthology! "Scintilla" first appeared in Alfred Hitchcock's Mystery Magazine (July/August 2015). The poem, "Predator and Prey," first appeared at The Five-Two during the week of July 27, 2015. "The Truth of What You've Become" first appeared in Alfred Hitchcock's Mystery Magazine (November 2015). "The Woman in the Briefcase" first appeared in Ellery Queen's Mystery Magazine (March/April 2016). * Finalist for the 2017 Derringer Award! "Double-Slay" first appeared in Mystery Weekly (April 2017). "A Respectable Lady" first appeared in Alfred Hitchcock's Mystery Magazine (July/August 2017). "The Cardinal's Blade" first appeared in Mystery Weekly (August 2017). 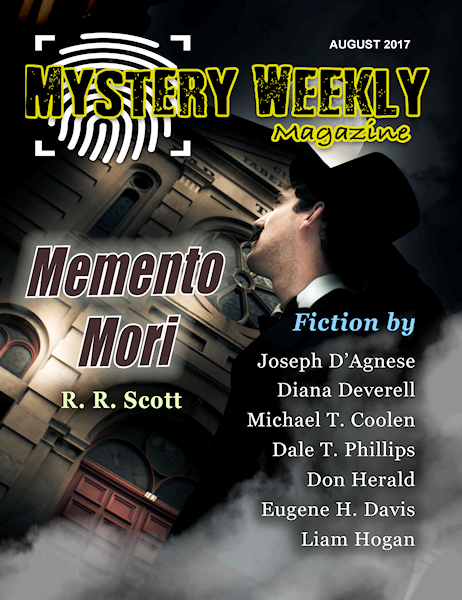 "Her Father's Killer" first appeared in Mystery Weekly (November 2017). 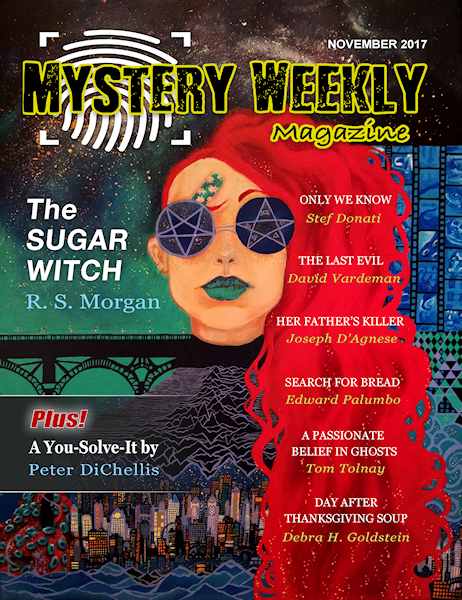 “The Vulnerable Rind” first appeared in Mystery Weekly (February 2019).